Josephine (Jo) Vallentine was born on 30 May 1946 in the wheatbelt town of Beverley, east of Perth, one of five children of Oswald Robert Vallentine, a farmer, and his wife Sylvia Cyclone, née Miles. Jo attributed her desire to make a difference in the world to several influences. She regarded both her grandfathers as 'the types to make things happen' and was impressed by their example. Her paternal grandfather had been a missionary in Africa, while her maternal grandfather, George Miles, served as an independent member of the Western Australian Legislative Council for thirty-three years. Jo's upbringing 'reinforced the view that everyone could have a go, that everyone could be powerful ... we learned to do everything on the farm, bar milking the cows. My mother didn't want to produce a raft of milkmaids'. The nuns at Loreto Convent, where she was a boarder, instilled both devotion and the belief that 'women could do anything', but while both motherhood and embarking upon a profession were vaunted as high ideals 'never was there any indication about how one person could do both simultaneously'. Vallentine had spent 1964 as an exchange student in the USA. She was one of many international students present at a speech by Robert Kennedy, who asked his audience if any of them could imagine a future time when their countries would go to war against each other. She remembered that the resounding response was, 'No! ... Never!' and noted: 'That has stayed with me in all the years I've worked for peace. All people are valuable. All people have rights. But not all people have opportunities'. This realisation undergirded her efforts, firstly as a volunteer and later as a parliamentarian, in groups encompassing her beliefs in peace, equality and concern for the environment. Involvement in the Vietnam Moratorium protests then brought her into contact with the Quaker denomination, which appealed to her as it was non-hierarchical and had no laid-down doctrine; she went on to regard the Quakers as her spiritual home. Vallentine received her tertiary education at Graylands Teachers' College and the University of Western Australia. Graduating as a Bachelor of Arts with a Diploma in Education, she taught in Perth, and then travelled through Europe and North America, teaching in Canada. On 16 December 1972 Vallentine married Peter Fry; they had two daughters. Vallentine, who had 'always been interested in politics', joined the Country Party as a teenager, 'which seemed the natural thing for a farmer's daughter to do'. Labor's Senator Peter Walsh would later make mocking references to her short-lived Country Party membership. By 1978 Vallentine was active in community groups, including the Campaign Against Nuclear Energy, Community Aid Abroad, the Aboriginal Treaty Support Group, and the Campaign to Save Native Forests. She joined the Nuclear Disarmament Party (NDP) in 1984 and, after a successful grass-roots campaign that was heavily reliant on volunteers and donations, she was elected to the Senate in December of that year. The Representation Act 1983 had provided for an increase in the number of senators from sixty-four to seventy-six, with each state gaining two additional senators. Vallentine won the seventh and last Western Australian seat for the NDP. However, by the time she took her seat in July 1985, she was no longer a member of the NDP. Allegations that the Socialist Workers Party was seeking to take over the NDP split the NDP at its national conference in April 1985. After much agonising she followed the lead of other prominent NDP leaders and left the party. During her first term, which was cut short by the double dissolution election of July 1987, she referred to herself as an Independent senator for nuclear disarmament. She was re-elected for a three-year term, at the head of the ticket of the 'Vallentine Peace Group', effectively as an Independent. Vallentine's Senate campaign teams and office staff comprised mostly of women, operating, as much as possible, in a non-hierarchical way: 'We had shared jobs, equal salaries, and we supported each other'. The team had 'regular evaluation and planning sessions and focused on community campaigns rather than point scoring in parliament'. Vallentine had 'always considered the community work more important than Senate chamber work, realising the limits on one person working independently of the party structure'. In her first speech to the Senate on 18 September 1985, Vallentine referred to herself as 'the first peace activist in the world to be elected to a national parliament on the single issue of nuclear disarmament'. Always hard-hitting, she criticised the increased defence spending, and proposed instead a 'genuinely defensive defence budget' and a 'peace budget, incorporating government funding of peace groups around the country'. She accused the super-powers of 'a massive fraud' for claiming that their respective nuclear stockpiles were purely a deterrent. Most of Vallentine's remarks referred to the United States, because of Australia's 'very close, and in my view very damaging alliance with that country. I totally reject anti-American or pro-Soviet labels. What I am, unshakably and unequivocally, is anti-nuclear and pro-survival'. Among other topics canvassed in her wide-ranging speech were concerns about the 'militarisation' of the oceans surrounding Australia and the hazards associated with uranium mining. Vallentine continued to address the themes of her first speech throughout her Senate career. She acknowledged the difficulty of getting 'wins' in foreign affairs and defence, because matters such as foreign bases and ship visits involved treaty partners and were not merely domestic concerns. In December 1985 she drew attention to the finding of the Royal Commission into British Nuclear Tests in Australia (the tests took place at Maralinga between 1955 and 1963), that there was 'virtually complete government control of the Australian media reporting' of the tests. Vallentine took the opportunity to note the 'secrecy that surrounds all things nuclear in this country'. On the same day she argued that, as it was impossible to separate the civilian and military uses of uranium, there was a likelihood that Australian uranium was being used to build nuclear weapons. Two and a half years later she picked up the same theme, highlighting 'the totally inadequate safeguards attached to the export of Australian uranium' and the likelihood that Australian uranium exported to Europe had become part of the 'blackmarket nuclear weapons trade'. In May 1986 Vallentine tabled a copy of a draft document on port safety during visits by nuclear-powered ships to Western Australian ports. The document had been commissioned a decade earlier and, in that period, sixty-seven nuclear-powered warships had visited Fremantle. She noted that the draft document contained no evacuation plan, no public information plan and no mention of decontamination procedures. The document referred only to nuclear-powered ships and omitted to mention ships armed with nuclear warheads. Vallentine said that if the government was not prepared to educate the public and train emergency services to deal with a possible nuclear disaster, it would be preferable to 'refuse entry of such environmentally hazardous ships into our ports'. Two years later, while speaking on the Budget, Vallentine asked what portion of the almost ten per cent allocated to defence was being set aside for Australia's 'contribution to the verification of disarmament agreements and the potential for further developing our input as a middle ranking world power'. She praised the Hawke Government for its work towards achieving a chemical weapons ban and on the seismic monitoring of nuclear testing, despite being 'undermined' by the United States' refusal to support a comprehensive test ban. However, she believed that there remained a Budget 'imbalance', as the amount spent on preparing for war greatly exceeded that which was spent on 'preparing for peace'. She strongly criticised the government for reducing controls on military exports and warned of the need for Australia to 'pay far more attention to the arms race at sea', commending the 'brave example' of the New Zealand Government in refusing entry of American warships to its ports. On many occasions Vallentine voiced her objections to American bases in Australia. In October 1987 she criticised the Labor Government for being just as evasive as its conservative predecessor about the purpose of the bases. She accused the government of allowing Australian soil to be used as a 'spy base' putting the lives of Australian civilians at risk. She argued: 'It is immoral that we allow our soil to be used ... for such diabolical and immoral acts'. Six months later she restated these criticisms: 'The whole relationship with the United States is characterised on our part by even declining to ask the questions in the first place. We thoroughly deserve our reputation of subservience'. Vallentine was arrested at least six times, giving her the title of being 'possibly the most often arrested Australian senator'. In May 1987 she was one of many protestors arrested at a nuclear test site in Nevada, USA, and five months later she was charged with trespassing at Pine Gap, and was subsequently imprisoned briefly for refusing to pay the fine imposed. She was also arrested in 1988 and again in 2009 at the wharf in Fremantle during protests, and in 2000 she served a seven-day prison sentence at Bandyup prison for again refusing to pay a trespass fine, this time imposed as a result of her participation in a protest against uranium mining at Jabiluka. By the end of her first Senate term Vallentine's supporters encouraged her to adopt a wider portfolio of environmental and social justice issues. This was not a difficult transition, as she had always stressed 'the connection between militarism, social injustices and environmental degradation'. Furthermore, she had often mentioned the severe environmental consequences of uranium mining and of nuclear accidents. At the 1990 election her environmental credentials were strengthened when she ran as a Senate candidate for the newly-formed Greens (WA) Party. Although she saw the move to form a political party based on grassroots ideology as an 'obvious' progression, Vallentine admitted that it brought problems, including disputes among personnel managing her election campaign. 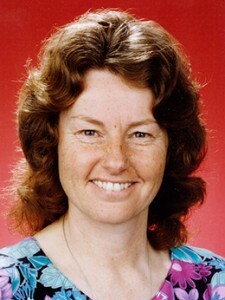 Vallentine was elected for a third Senate term as the first Greens representative to win election to federal Parliament. Throughout 1991 Vallentine was involved in debates on the environment, including the establishment of a treaty prohibiting mining in Antarctica, the banning of rainforest timber imports, and the promotion of ecologically sustainable forest industries. She attacked the 'myth' that conservation meant a loss of jobs, pointing out that job losses in forest industries over the previous two decades had 'nothing to do with the greenies'. Vallentine was disappointed to find an absence of 'feminist solidarity' in the Senate, with women competing with their male colleagues to be abusive and rude in the chamber. She found the Senate an intimidating place as she was exposed to 'constant attacks, constant personal abuse', with derogatory labels such as 'you silly lady', 'accidental senator' and 'a great donkey' levelled at her. However, she refused to be put off, stressing that she saw her first task as a community educator, a task for which her teaching background had equipped her well. Although she generally avoided relying on parliamentary procedures, 'often based on antiquated and irrelevant traditions' and was a frequent abstainer from Senate votes on matters which she did not regard as pertinent to her concerns, she did introduce into Parliament 'a lot of views which would not otherwise be expressed in here'. Vallentine's indifference to parliamentary procedure did not prevent her from making an impact in unorthodox ways. In October 1987 she moved an amendment to the address-in reply to the Governor-General's Speech, an action which, she said, had 'rarely been attempted before, and has never before resulted in a full debate'. Her amendment, supported only by the Australian Democrats, included a statement that the ANZUS alliance with the United States was 'not in the best interests of the Australian people'. She later noted that her amendment had aroused the fury of senators from the major parties, with the Nationals' John Stone 'apoplectic with rage'. In 1989 Vallentine orchestrated her own suspension from the Senate. She had been angered by what she saw as a deliberate attempt by the major parties to prevent her from speaking in a debate on the arrest of protesters at the US base at Nurrungar, South Australia. When given the opportunity to make a personal explanation regarding her absence from the chamber during the previous week, Vallentine moved beyond that subject to accuse the ALP and the Coalition of a 'disgraceful display' of collusion to limit the debate on Nurrungar. When she persisted she was suspended. Vallentine later wrote that this was 'a deliberate act on my part', and her suspension gave her the opportunity to tell the media how parliamentary procedures were 'increasingly being used to deny a voice to non-major party senators'. Following the 1987 election Vallentine 'lobbied hard' for membership of the Joint Standing Committee of Foreign Affairs, Defence and Trade. She gained a place, and chose to be a member of the Defence sub-committee. She put forward her views on alternative defence strategies and found the committee work 'a great learning experience'. Although she accepted that some 'members and senators made it very clear that they didn't appreciate my presence', she 'was determined not to be silenced'. Between 1988 and 1991 Vallentine put forward four private senator's bills, all of which lapsed. Her last bill, the Whistleblowers Protection Bill, introduced in December 1991, was the first federal legislative attempt to protect whistleblowers. After Iraq's invasion of Kuwait in August 1990, Vallentine argued that the proper response was to maintain economic sanctions against Iraq, with the aim of bringing about a negotiated settlement rather than resorting to armed force. She declared that she was 'totally opposed' to Australia's 'token' participation in 'the current cashbox coalition', and the use of American bases in Australia to assist in the bombing and 'killing of innocent Iraqi citizens'. However, bipartisan support for Australia's involvement led to Vallentine's isolation. On 21 January 1991, while Prime Minister Bob Hawke was delivering a statement on the war in the House of Representatives, she interjected from the gallery in an emotionally-charged outburst. She later apologised for her actions, but, for Vallentine, Australia's involvement in the Gulf War was 'the most difficult time of all' during her Senate career, a time of 'great shame and horror'. Vallentine officially resigned from the Senate on 31 January 1992, citing family and health considerations. Her valedictory speech made reference to James Lovelock's 'Gaia' theory, that the Earth is a self-regulating organism. She also quoted verses of Dorothy Cameron's poem The Singing Hill. The poem spoke of 'Gaia's woman-energy' returning to the 'Singing Hill' (the site upon which New Parliament House was built), and transcending the voices of 'men in dark suits'. A few months later Western Australian Liberal Senator Ian Campbell dismissed Vallentine's speech as 'rambling' and 'raving'. In 1995 fellow Western Australian, Senator Peter Walsh, who had a rather acrimonious political relationship with Vallentine, described her as 'very sanctimonious and excitable—words would fall over each other as they tumbled out of her mouth at about 200 a minute'. In contrast, three years earlier during valedictory remarks, senators were far more generous in their descriptions of her. National Party Senate leader Ron Boswell (Qld) noted that while he had nothing in common with Vallentine's politics, 'Jo is a very nice person'. Tasmanian Independent Senator Brian Harradine also shared little with Vallentine other than an independent stance, but he found her 'very friendly and affable' and acknowledged that she came 'with a mission' and had 'pursued it'. Finally, Australian Democrats Senator Vicki Bourne referred to Vallentine as 'one of the most charming and hard-working members of Federal Parliament that I have ever known', and thanked her for 'maintaining a point of view which is quite separate from that of the majority of members of both these chambers'. After leaving the Senate Vallentine continued to campaign for peace and disarmament. In 2000 she was nominated for Australian of the Year and five years later she was one of six Australian women nominated for the Nobel Peace Prize, under the banner of 'Association 1000 women for Nobel Peace Prize'. In 2015, in appreciation of her service to the party, the Greens (WA) Party suggested that a sixteenth Western Australian House of Representatives seat should be created and named Vallentine, in honour of the former senator. Jo Vallentine, 'A passionate concern for the future' in Taking a Stand: Women in Politics and Society, J. Scutt (ed), Artemis, Melbourne, 1994, p. 88; Jo Vallentine, 'A tapestry of passion and peace', Carrying the Banner. Women, Leadership and Activism in Australia, in J. Eveline and L. Hayden (eds), UWA Press, Nedlands, WA, 1999, pp. 74–5; Jo Vallentine, 'A Quaker senator', in Jo Vallentine and Peter Jones (eds), Quakers in Politics: Pragmatism or Principle?, The Religious Society of Friends, Alderley, Qld, 1990, pp. 2–3, 12; CT, 19 Dec. 1984, p. 11. Jo Vallentine, 'A Quaker senator's story', pp. 2–3; CT, 19 Dec. 1984, p. 11; Sue Slaun, 'Breaching the patriarchal society', Portfolio, April 1987, p. 38; Vallentine, 'A passionate concern for the future', p. 87; CPD, 19 Dec. 1991, pp. 5171–6; Vallentine, 'A tapestry of passion and peace', p. 77. CPD, 18 Sept. 1985, pp. 663–9, 14 Oct. 1988, p. 1353, 30 Nov. 1988, pp. 3230–3, 21 Jan. 1991, pp. 92–9; Transcript, ABC Radio, 'Women in politics', 8 Feb. 1991. Transcript, ABC Radio, 'Ring the Bells', 4 Aug. 1989; CPD, 5 Dec. 1985, pp. 2978, 2986, 19 May 1988, pp. 2554–6, 28 May 1986, pp. 2912–15, 19 May 1988, pp. 2554–6. CPD, 21 Oct. 1987, pp. 1049–53, 19 May 1988, pp. 2582–5, 28 May 1987, pp. 3123–5; Vallentine, 'A Quaker senator's story', p. 18; SMH, 19 Oct. 1987, p. 1, 4 Aug. 1988, p. 9; Greens (WA), 'Submission to the Redistribution Committee of the Australian Electoral Commission on the 2014 Western Australian Federal Electoral Redistribution', 10 April 2015, p. 8. Transcript, ABC Radio, 'Ring the Bells', 4 Aug. 1989; Vallentine, 'A tapestry of passion and peace', p. 77; CPD, 18 Sept. 1985, pp. 663–9, 14 Nov. 1990, p. 4096, 11 March 1991, pp. 1579–82, 14 March 1991, pp. 1878–80, 1968–75, 21 June 1991, p. 5279. Transcript, ABC Radio, 'Women in politics', 8 Feb. 1991; Transcript, ABC Radio, 'Ring the Bells', 4 Aug. 1989; CPD, 20 Nov. 1986, p. 2615; CPD (R), 5 March 1991, pp. 1322–5; Vallentine, 'A passionate concern for the future', p. 86; Vallentine, 'A Quaker senator's story', pp. 31–2, 34–5; Dr Gwynneth Singleton, 'Independents in a multi-party system: the experience of the Australian Senate', Papers on Parliament, No. 28, Nov. 1996; CPD, 28 Oct. 1987, pp. 1423–8, 28 Sept, 1989, pp. 1493–4, 4 Oct. 1989, pp. 1605–8. Vallentine, 'A Quaker senator's story', p. 35; Vallentine, 'A passionate concern for the future', p. 82; CPD, 12 Dec. 1991, pp. 4695–8, 21 Jan. 1991, pp. 92–9, 22 Jan. 1991, pp. 104, 146–8, 20 Feb. 1991, pp. 927–33, 7 March 1991, pp. 1447–8, 19 Dec. 1991, pp. 5171–6; CPD (R), 21 Jan. 1991, pp. 2–9, 5 March 1991, pp. 1276–9. Vallentine, 'A passionate concern for the future', p. 87; CPD, 19 Dec. 1991, pp. 5169–76, 5 March 1992, pp. 858–61; Peter Walsh, Confessions of a Failed Finance Minister, Random House, Milsons Point, NSW, 1995, p. 176; Greens (WA), 'Submission to the Redistribution Committee of the Australian Electoral Commission', 2015, pp. 1–9. This biography was first published in The Biographical Dictionary of the Australian Senate, Vol. 4, 1983-2002, Department of the Senate, Canberra, 2017, pp. 532-536.